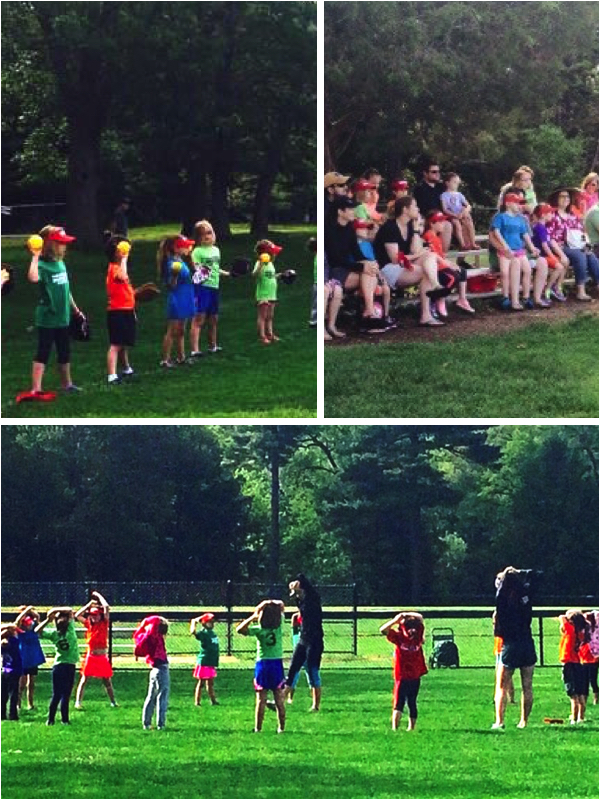 The Kindergarten Program (K-Program) was introduced to Milton Girls Softball in the Spring of 2015. The K Program is an 8-week session designed to introduce kindergarteners to the sport of softball as well as provide an opportunity for them to play and interact in a safe, stimulating, and nurturing environment. Milton Girls Softball has hired an experienced director and instructor for the program. Gary Kelly has been involved with Milton Girls Softball for over 20 years as a coach, league president and board member. Both are tremendous assets to the K Program. Gary's philosophy focuses on teaching the developmental aspect more so than the instructional aspect of the sport. However, none of this will matter if it’s not done by having FUN. The K Program is about keeping the girls engaged. This will be done with positive reinforcement, smiling a lot, giving lots of high-fives and keeping the players moving and involved. The structure of the K Program is about breaking down the actual practice into stations. Stations are efficient, effective, and FUN. This will be done by having a staff of trained instructors and high school players to ensure the direct developmental instruction is consistent and delivered the correct way fundamentally. Stations will focus on developing skills such as hitting, throwing, catching and running. Leading to the 2nd half of the season, we will progress into scrimmage type games, or more game like activities to introduce more position and basic softball concepts. Parents are also encouraged to be involved if desired. Our goal is to have parents learn by observing and/or participating with the goal that parents may coach when their daughters move up to the Freshwomen Division the following year. The Kindergarten Program is about progression and awareness without the player realizing how much they have learned. The K Program runs on Saturdays from 9-10:15 at Cunningham Park at the softball diamond. Cunningham Park is located at 75 Edge Hill Road in Milton [View Map]. There is plenty of parking. The program starts on Saturday, April 21st and continues each Saturday until Saturday, June 16th. There will not be a session on Saturday, May 26th (Memorial Day Weekend). Girls should wear sneakers or cleats as well as shorts or sweat pants. We want the girls to be comfortable. Sweatshirts are completely acceptable especially if it's a chilly morning. Milton Girls Softball will provide the girls with shirts and visors.